Looking to get somewhere in style? Then look no further than White Glove Limousine! Kirkland residents can depend on us to deliver top-notch luxury and superior service no matter what the occasion. Whether you’re planning a night on the town or a trip out of town, at White Glove, we have vehicles to suit your every need. Plus, our courteous and dependable drivers are always on time, always professional, and always ready to go that extra mile to make your occasion extra special! Locally owned and operated, White Glove has been serving the entire Puget Sound area for over 21 years. Our prices are extremely competitive and, unlike some other Kirkland Limo Companies, we never charge you for a minimum time requirement. With our extensive fleet of vehicles, you can choose the ride that best suits your needs. In fact, our largest vehicle can accommodate up to twenty passengers! But no matter which vehicle you choose, you’ll find it to be squeaky clean, luxuriously comfortable, and well-maintained. In fact, when comparing White Glove with other Kirkland limo companies, we were named one of the “5 best rides in town” by Business Weekly! At White Glove, in addition to maintaining a versatile fleet of high-quality vehicles, we also hire only the most courteous, knowledgeable and professional drivers available. 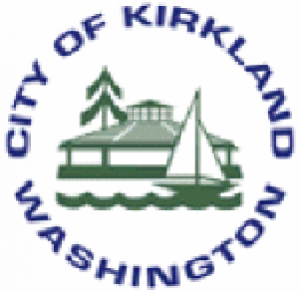 You can rest assured that, for the driver of your limousine, Kirkland is familiar ground, and he or she will get you to and from your destination with ease and on time. We want you to enjoy your special occasion, not worrying about the stresses of getting there and back! In addition, regardless of the type of occasion, the number in your party, or the distance you travel, your driver will give you professional one-on-one attention, treating you and your party with the utmost courtesy and respect. White Glove didn’t become the area’s number one choice for limousine service by accident. Since our inception in 1992, we’ve built our business on our commitment to customer satisfaction. We’ve always striven to provide the very best service at the very best prices, and we’re proud of the outstanding reputation for excellence that we’ve cultivated over the years. Our clients return to us time and time again whenever they need a safe and luxurious ride for just about any occasion imaginable. That’s because, as one of the oldest Kirkland limo companies around, we always put our clients first–your satisfaction is our number one priority! Birthdays, Bar Mitzvahs, weddings, anniversaries, business travel–whatever the reason, you can trust White Glove to make your event extraordinary! Contact us anytime to reserve your special ride, or to find out more about the services we offer.